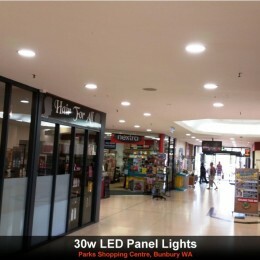 S-Tech have recently completed the upgrade to LED Panel Lights to the Parks Shopping Centre in Bunbury WA. The site was upgrade using our 30w LED Panel Downlight with exceptional results. For more information please contact S-Tech on 08 9330 8485.